Teaching artist-in-residence Maureen Bennett leads the students. 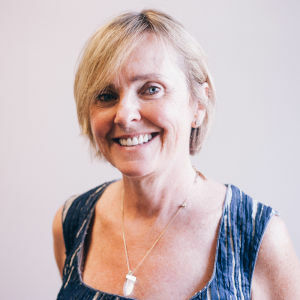 Teaching artist-in-residence Maureen Bennett spent hours working with the students on a unique and exciting project of self-expression. S The portrait lessons were school-wide! Students in Pk3-4 were influenced by Picasso and recyclable materials. 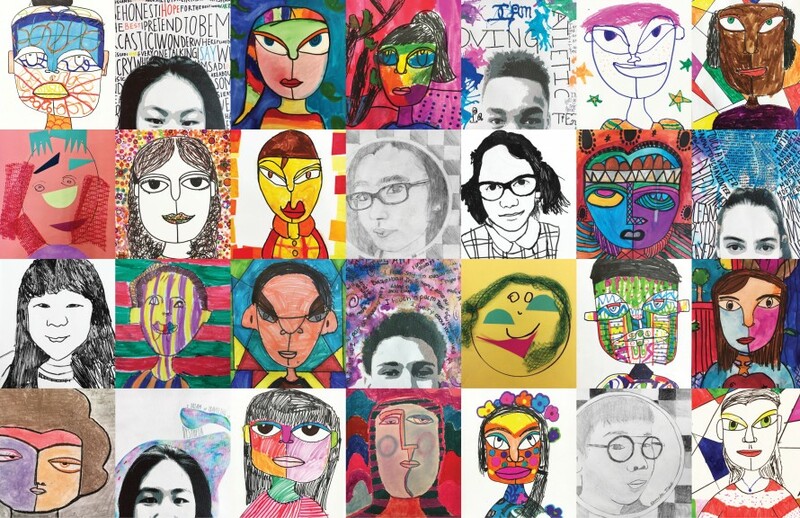 In the lower grades students were learning about warm and cool colors and how to draw an abstract face, while in the middle grades students learned about artist Georges Seurat’s and Pointillism and artist Henri Matisse and Fauvism. 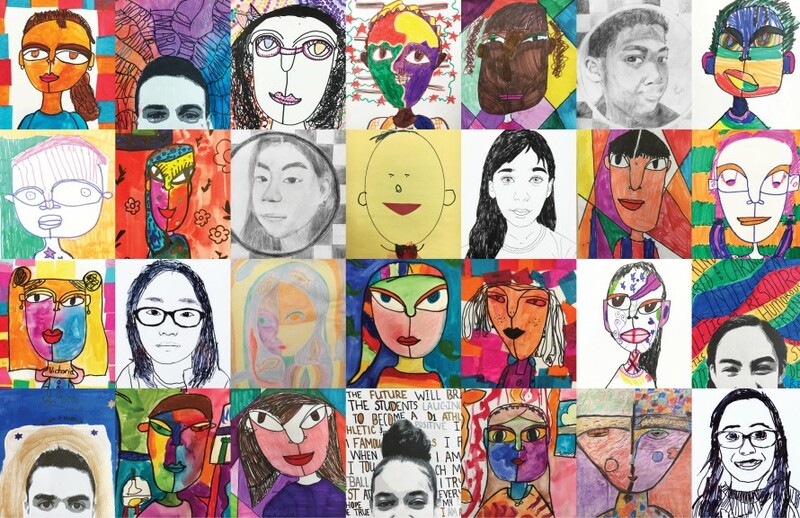 In the upper grades students learned about MC Escher and how to draw with a grid system and visionary artist Sandra Silberweig and finally in Grade 8, students integrated their own “I AM” poems with a lesson in typography. 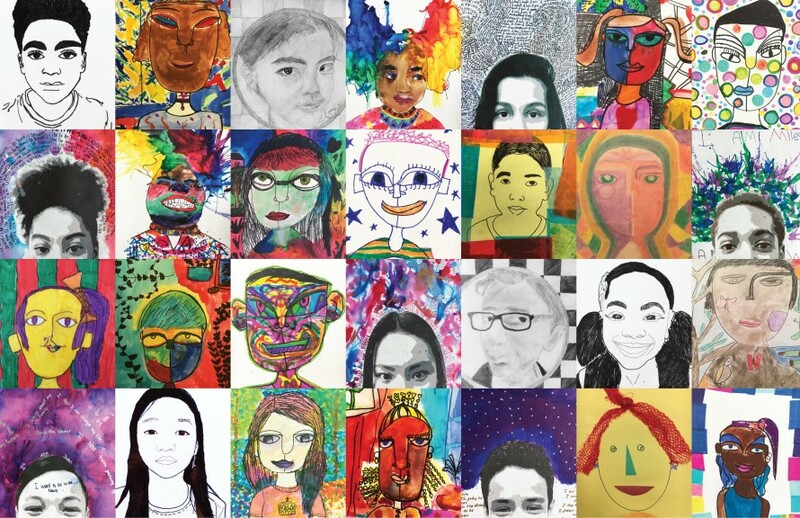 Students created self-portraits of themselves in a variety of styles that when completed showcased how truly diverse the community is, check out just a sampling of the works below!